The success of Apple’s iPod Touch and iPhone has opened new technological innovations which lead to the new revolution in information technology. NetSuite, the first company to ever sell cloud computing software, has integrated the ERP (Enterprise Resource Planning) application suite to iPhones and iPod Touch. This suite are made exclusively for Apple devices only and offered free at Apple App Store. The main purpose of ERP application is to give the users easy access to prospects, customer records, sales leads and even to executives. But there are other functions which Netsuite’s ERP Applications can do better. The NetSuite Calendar can help you stay on your schedule especially for big upcoming events which you cannot simply afford to neglect. Staying on schedule is one of the great challenges of a busy person. But NetSuite’s ERP Applications can help you not to worry so much in remembering your next important appointments. There’s more, NetSuite Calendar allow you to decline or accept events and appointments which you can simply mark as “Complete” when the appointment has been made. In a nutshell, the NetSuite Calendar is what you need if you want to stay on schedule on all your appointments. All NetSuite ERP applications come with comprehensive dashboards which give you easy interpretation and dynamic contents; trend graphs, reminders, performance indicators, scorecards and even recent records from vendors. You can view or run a query by using company names, dates or products. Google Maps is also integrated to give you exact location or physical address should you look for a particular vendor or company. Aside from that, the “click-to-call” feature can provide you easy access to contact information with email address. In short, NetSuite’s ERP dashboard are designed to make your life easier. 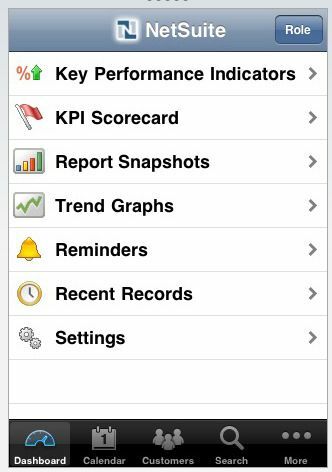 The NetSuite’s ERP iPhone Applications will keep you updated and help you keep your good scores in your businesses. One feature that you will simply appreciate is that you can view the top lists of the biggest customers as well as the biggest sales made. Because of this, there is enough information for you to comprehend the trend in the world market. The fact that NetSuite made such applications is evident that the company also wants you to be successful with the help of their ERP Suites. Technology advances every minute and you cannot just afford to be left behind if you want to keep the pace of your business in the world market. Time is gold when it comes to business. So, having NetSuite’s ERP Applications in your iPhone or iPod while you travel is one way to know how your business stands. If you are running a business without this ERP iPhone applications, think twice! You could download this Free iPhone Apps here!